Welcome on the web-site of Albergo Carla. 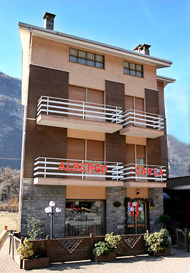 Albergo Carla is near to the border with Aosta Valley and it is a strategic place of departure for climbing, trekking, skying, visits to the castles and wine-and-food tours. We are open all long the year and there is the chance to have lower prices for companies.